Would YOU Live In The Real Life Dursley's Family Home? Well Now You Actually Can! You may call yourself a true Harry Potter fan, but would you REALLY sleep in the cupboard under the stairs? 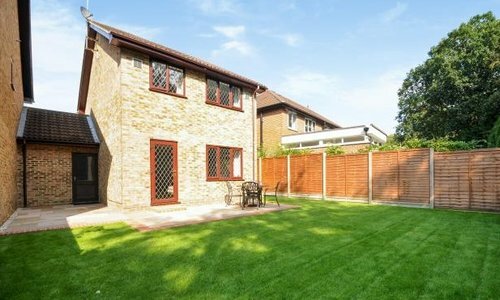 The three bedroom property in Bracknell which has gone on the market for £475,000, will no doubt delight superfans who want to live the 'Harry Potter' lifestyle for real. It might sound odd to dream about living in a 'cupboard under the stairs', but for fans of J.K. Rowling's iconic book series will no doubt be over the moon to discover that they can now purchase the real-life Number Four Privet Drive. Martins Heron, Bracknell, Berkshire, RG12 is instantly recognisable to those in the know as the house that Harry's Uncle Vernon, Aunt Petunia and cousin Dudley resided in in the film franchise. The property, advertised by Chancellors estate agents is listed as being situated in "a quiet cul-de-sac", just 0.2 miles from Martin Heron railway. Fans who aren't in the position to fork out almost half a million for a new home however, shouldn't fret too much as they can still visit the Warner Bros version in Watford...and sip a butter beer whilst they're there!